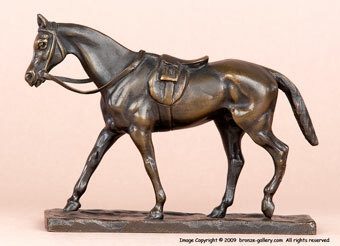 Gaston D'Illiers was known for his fine sculptures of horses and this small bronze shows a Horse with his tack and saddle. The details on this miniature bronze are well done with sharp detail. 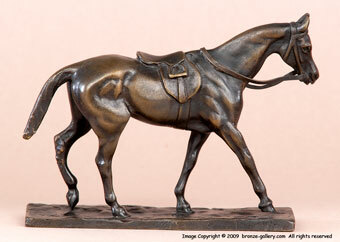 The horse is finished with a rich dark brown patina.